Peter Shock from Liverpool is the lucky winner of a brand new Toyota Yaris Sport, one of the top prizes in this year’s Red Nose Day prize draw for Comic Relief. 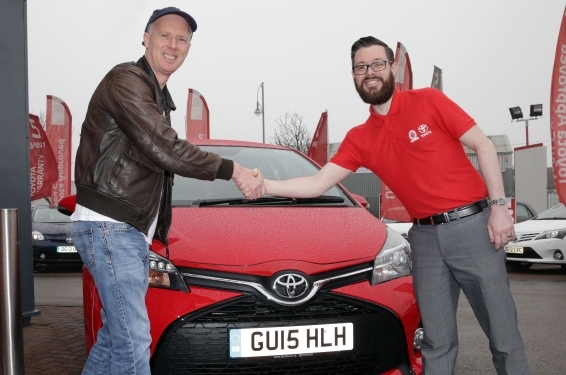 As an official partner of Red Nose Day 2015, Toyota’s fund-raising campaign included the opportunity to win this Chilli Red Yaris Sport or a one-of-a-kind Auris. 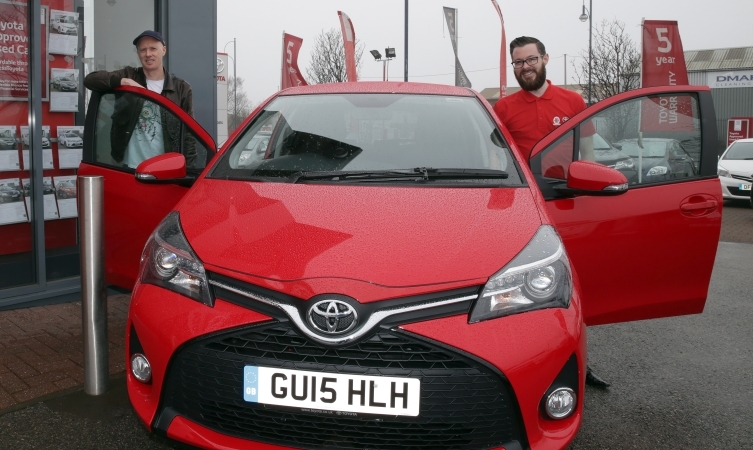 As Peter has been a happy Yaris driver in the past, he thought he’d try his luck in the prize draw while also making a donation to a very worthy cause. “I took part to help Comic Relief and to see if I might be lucky enough to win…Of course, I was completely surprised and delighted to win,” explained Peter. Graeme O’Brien, sales manager at Johnsons Toyota Liverpool, was happy to hand over the keys to the Yaris Sport, and we’re sure that the new Toyota will provide an extra element of fun in Peter’s life. To learn more about Toyota’s fund-raising that raised more than three-quarters of a million pounds for Red Nose Day 2015, enjoy reading the articles listed below. And to experience the Toyota Yaris for yourself, pop in for a test drive at your nearest Toyota dealer or leave a comment at the bottom and we’ll contact you to arrange it!